The Bachelor of Science degree in Exercise Science will prepare students to pursue careers in the fitness and wellness industries, personal and group fitness training and exercise physiology. It will also prepare students for entrance into graduate programs to study athletic training, exercise physiology, cardiac rehabilitation, physical therapy, chiropractic, occupational therapy, and recreational therapy. The exercise science program benefits individuals interested in studying contemporary trends in health and fitness developing a knowledge base in exercise physiology, kinesiology and care, and prevention of injuries while forming skills as future health and fitness professionals. In this program, students will experience a strong base of content related to exercise and health coupled with the opportunity to observe, teach, and obtain meaningful practical experiences. Upon graduation and certification, students in this field may obtain jobs in recreational, wellness and fitness settings, within corporate and non-profit organizations; as well as preparation for graduate school. 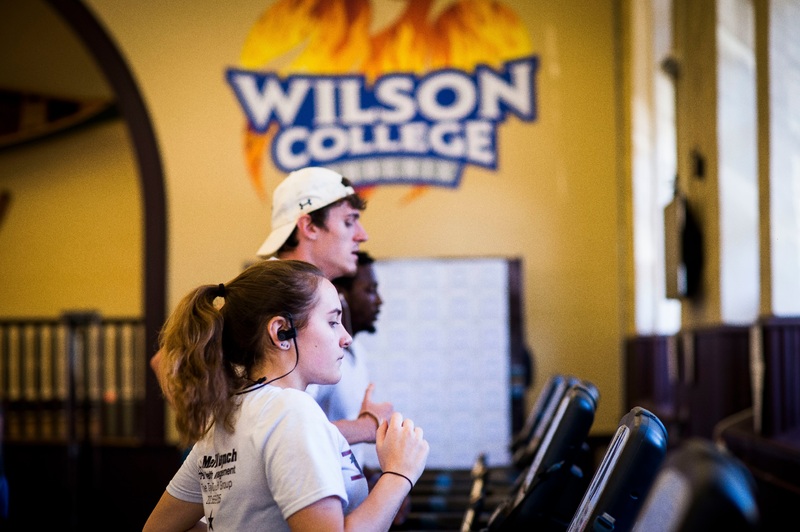 Requirements for the bachelor's degree in exercise science include Wilson College’s liberal studies, foundations and exercise science major requirements. The student wishing to pursue acceptance into graduate programs may be required to take additional courses depending on a particular institution's admission requirements. Please note: Students planning to sit for the ACSM Certified Personal Trainer, Certified Group Exercise Instructor, and/or Certified Exercise Physiologist examinations are encouraged to do so during their senior year or upon graduation depending on ACSM eligibility requirements.Students who graduate with an exercise science degree and are interested in the ACSM Clinical Exercise Specialist certification will need to accrue at least 500 hours of experience in a clinical exercise setting before taking the exam.